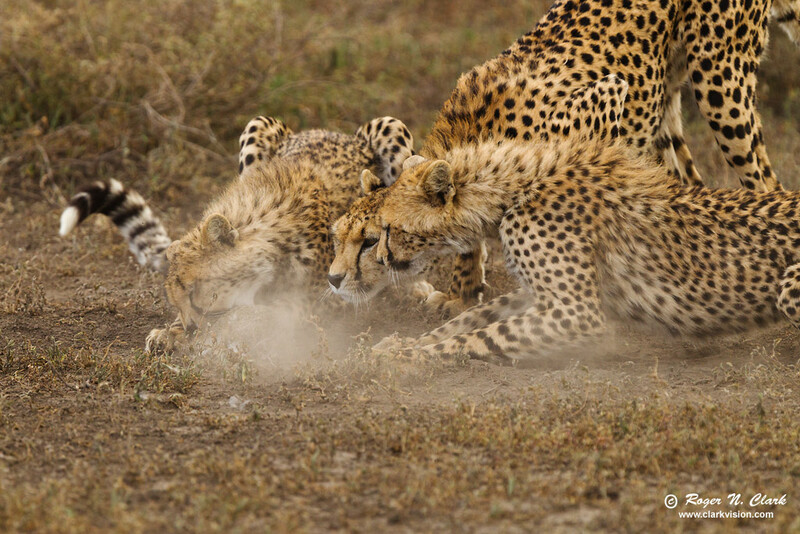 In this image, the mother is at center, and the cub on the left grabs the rabbit and delivers a lethal bite to the neck. Rabbit for dinner. Technical. Canon 1D Mark IV 16-megapixel digital camera, Canon 300 mm f/2.8 lens with 1.4x TC: 420 mm at f/4.5, ISO 400, 1/1000 second exposure. Manual exposure. Full image, no crop.